Topics: Commercial Security, Public Sector, Retail, Global Accounts, Global Strength, and Reasons To Go Global. 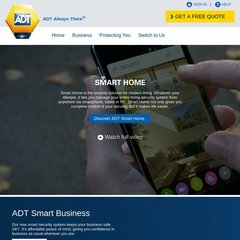 adt.ie ADT - Monitored home security for only €499! The site is programmed for ASP.NET. Its 2 nameservers are ns.darklite.ie, and ns2.darklite.ie.